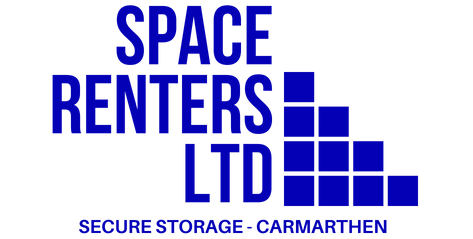 Welcome to Space Renters LTD, a low cost, local and friendly storage company based in Johnstown, Carmarthen. We use wooden containers within a secure area offering convenient self store at a low cost for both home and business customers. If you need short or long term self storage while decorating, extending your home, moving house, to create space at home or work, to clear the garage, loft or shed, storing files, stock or equipment in a safe and secure environment – then we are your solution! Renovations, Motorhomes, Motorcycles, Caravans, Boats & Cars. Wooden containers are stored safely and securely at our local warehouse, plus a collection service is available. Each container measures 7.2th length, 5.2ft wide & 6ft high, equaling 225 cubic feet. Or 8ft high, equaling 300 cubic feet. We have internal and external options for all vehicles and accessories including: Motorhomes, Motorcycles, Caravans, Boats, Trailers & Cars. Our clean and dry building is fully insulated with security cameras, security alarms and smoke alarmed, with CCtv for extra peace of mind. Contact us for more information. We can provide cardboard boxes to ensure your items are safely stored both neatly and tidily, allowing you to store and access items with ease. Five blankets are included as standard at no extra cost. Additional blankets and padlocks can be hired at a nominal service charge, please ask for more information. With our 5 mile radius collection service we deliver a wooden container - ask us for a quote today - a complete self store from your door service.